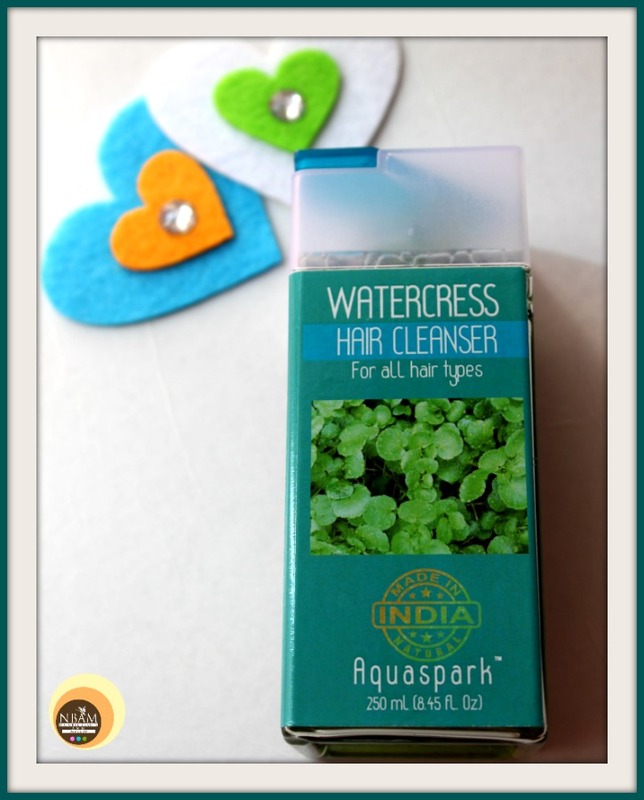 You can retard hair loss and even enhance its growth with the natural effectiveness of Watercress. It will leave your hair healthy & shiny. Apply a small amount and gently massage into hair and the scalp area. Rinse with warm water and repeat if necessary. 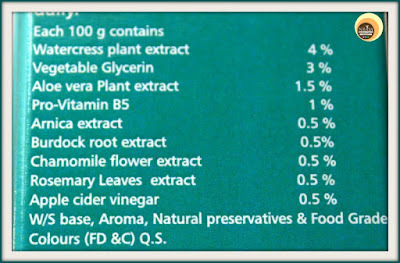 For best results follow it with watercress conditioner. Because it is natural and gentle, it can be used daily. 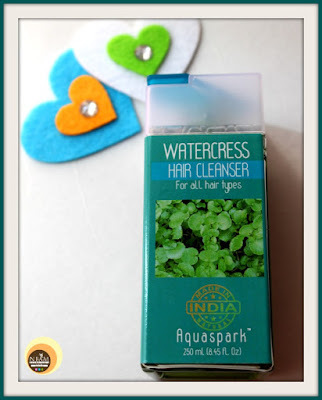 I didn’t buy Watercress Conditioner along with this hair cleanser hence going to review only the shampoo today. Therefore without wasting any more time let’s get into the details right away! The Nature’s Co brand has a standard signature packaging for their hair cleansers, conditioners and body lotions specifically. The shampoo comes in a see-through, square-shaped plastic container secured with a firm diagonal flip cap. 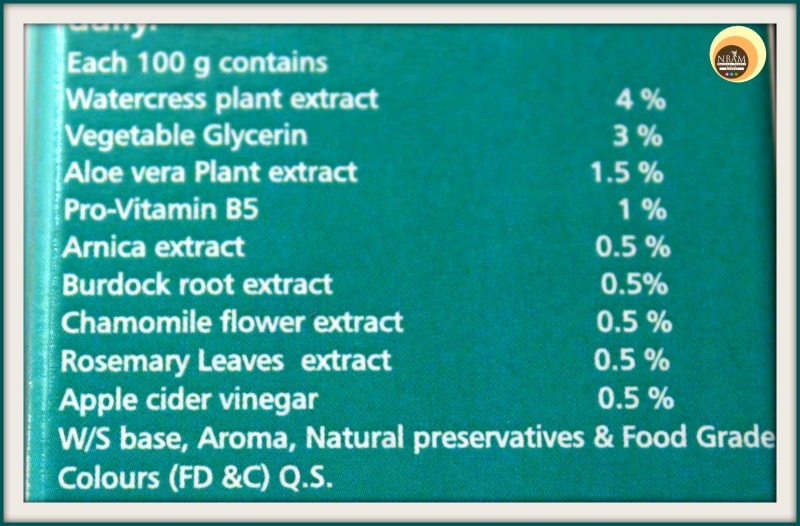 All the necessary info about the product is furnished on the packaging. However, I am not fond of this kind of packaging, simply because it’s not travel-friendly (if not packed nicely) and also product does tend to build up around the cap at times making it dirty & unhygienic! On the other hand, TNC product containers are recyclable and environment-friendly. 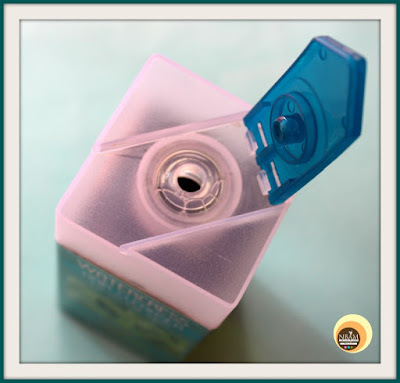 From outside view, the hair cleanser appears bottle green colour in the container but when dispensed into the palm, it looks transparent with a hint of green. 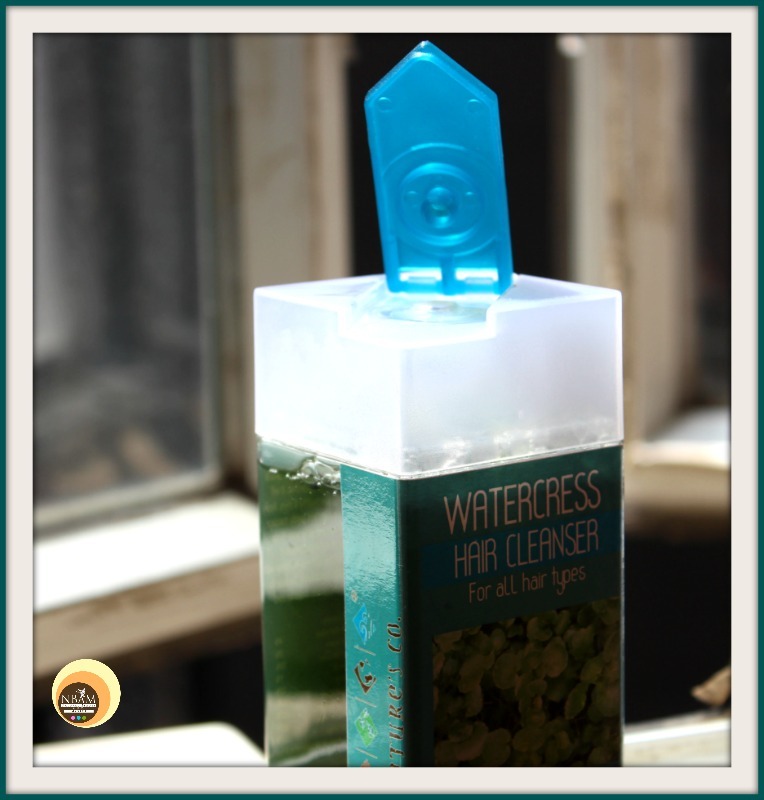 The texture of Watercress hair cleanser is gel type with a consistency that is neither too thick nor too runny. Talk about the fragrance, it’s refreshing, cool and heavenly 😍. I finished this shampoo last year. The days when I had oiled my hair or had applied hair packs, I used to take a copious amount of this hair cleanser to wash my hair. On other days, I would take only a little amount of it mixed with water and apply on the scalp & hair. I normally massage my hair for at least two minutes with all shampoos before washing them off. 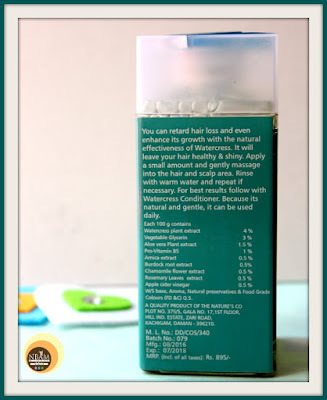 The Nature's Co Watercress hair cleanser lathers pretty well and gets easily washed off the scalp too leaving my hair and scalp super clean and refreshed. Its divine smell would make your shower time more relaxing, trust me! I try not to double wash my hair with any shampoo and thank god, I didn’t require doing that with this watercress hair cleanser. In a single wash, it provides you with squeaky clean scalp even if your hair is oiled!! But that doesn’t mean you can skip the hair conditioner, I followed it with my favourite Nori Hair conditioner from The Nature's Co only. 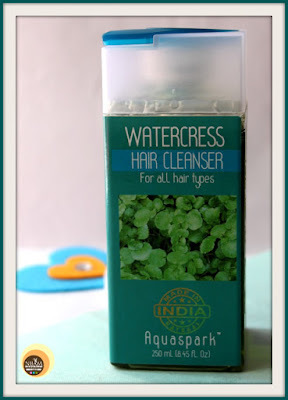 Watercress Hair cleanser keeps the oiliness at bay for a period of three days; I had to shampoo again on the fourth day every week. It adds volume and shine to the tresses but couldn’t stop my hair fall at all (Not going to judge that because I am on medication and have been using hard water for a long time) 😐. Did I tell you, The Nature’s Co hair cleansers last for more than 6 months if used twice a week? C’mon, now you can’t say, these are pricey, right 😜! It couldn’t prevent my hair fall completely! Doesn’t reduce dandruff, neither it claims so! As you people know that I have already tried a few hair cleansers from The Nature's Co and reviewed them too on NBAM, I must admit that this Watercress hair cleanser tops the chart!! Yes, I truly loved it. 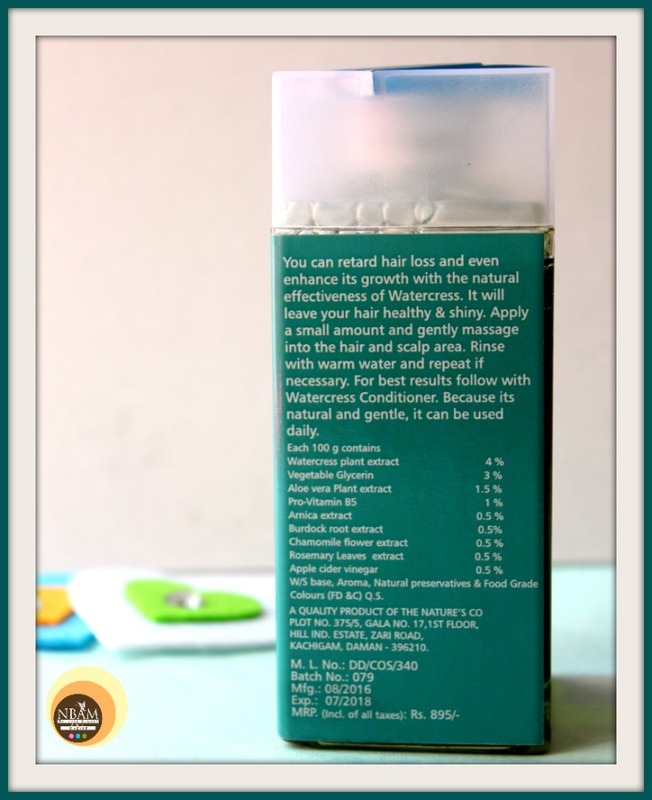 The Nature’s Co Watercress Hair Cleanser is a gentle hair cleanser that effectively removes dirt and impurities from the scalp without stripping the scalp of its natural oil providing the hair with shine & lustre 😊. I would highly recommend this Watercress Hair Cleanser to those who are on a lookout for a gentle yet effective shampoo for everyday use. Hope you find this review helpful. 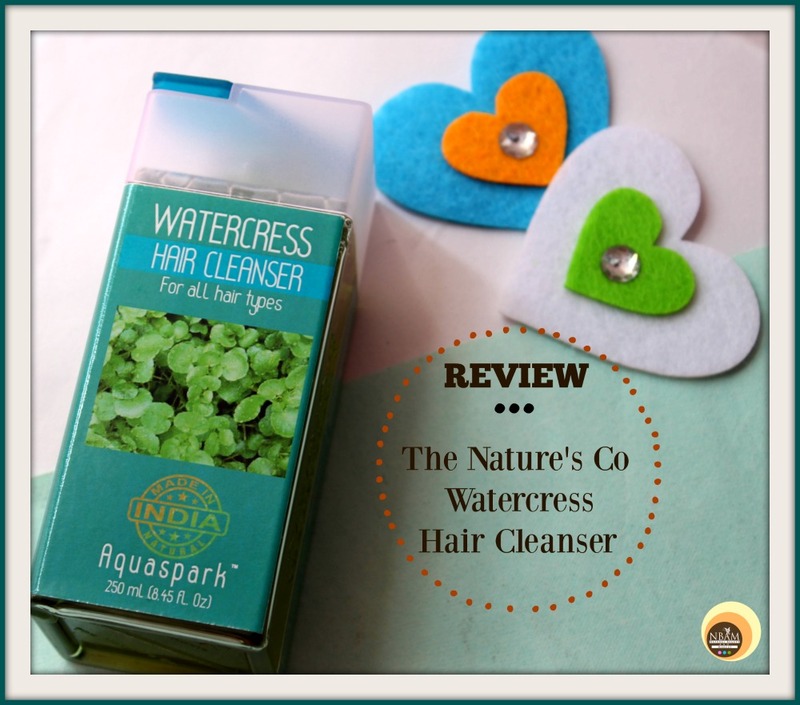 Have You Ever Tried The Nature’s Co Watercress Hair Cleanser? If Yes, Please Do Share Your Experience With Me In The Comment Section Below. Wow seems like a nice shampoo. Also do share ur hair packs u use. 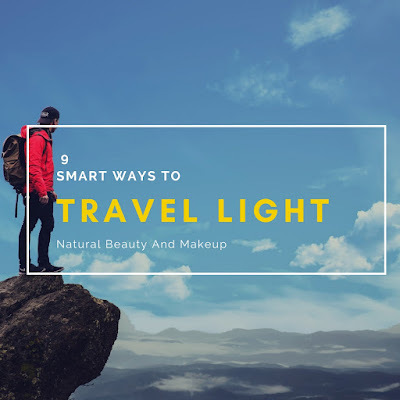 I have many tried many skincare products from Nature's co, but haven't tried any hair care products. This cleanser looks very promising, I might give it a try. I have tried these and they did a decent job. I am facing so much of hairfall these days. If a product is good and can take you through a few months, plus minus, I personally feel its worthy. This sounds like a good and refreshing shampoo, where to get this one? Wishing a great weekend!